Traditional metal braces have come a long way since what most adults usually remember. Modern-day braces are a lot smaller than they used to be, meaning they are a lot less noticeable as well. 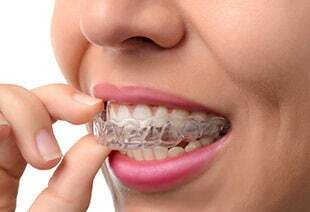 Metal braces are standard metal brackets that are applied to your teeth with adhesive and are connected together by wire. Traditional braces require periodic tightening so that there is constant pressure applied to the teeth and that your teeth and jaw are aligned as needed. Even though these are the most noticeable types of braces to have, many teens enjoy the fact that you can add your own personal flare to the braces. Coloured bands can be added to the braces in a variety of ways, creating a unique and fun, colourful smile! Each time that you go in to have your braces tightened, you can also choose to change the colour of your bands. Braces are typically worn for one to three years, depending on the individual’s situation. Ceramic braces are made up of clear, porcelain materials and are therefore a lot less visible on your teeth than the metal braces. Ceramic braces come in many altering levels of transparency so that you can have the option of wearing braces that mimic the natural colour of your teeth. Invisalign has taken a modern approach to straightening your teeth with these custom-made series of aligners that have been created specifically for you and only you. The removable aligner trays are made from a smooth and comfortable invisible plastic that you simply wear over your teeth. Properly wearing the aligners will help to gently and gradually shift your teeth into their new place. There are no metal brackets and no wires, just plastic trays that will get replaced approximately every two weeks, up until your treatment is complete.These aligners are much easier to clean than traditional braces because of the fact that they are removable. 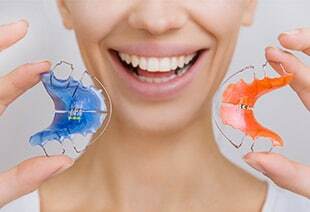 Invisalign is perfect for teens or adults who want to straighten out their teeth but at the same time don’t want everyone knowing about it. 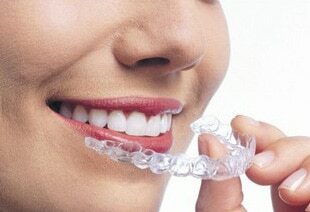 The strong plastic trays are indeed invisible, making it nearly impossible to notice that you are wearing braces. Oral hygiene is a lot easier to maintain as well with these braces, again, because of the fact that they are removable. 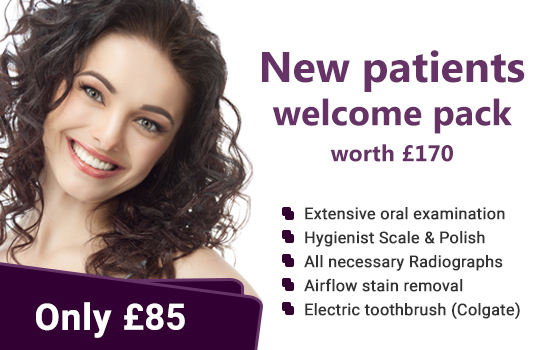 This makes it easier for you to eat, as well as brush and floss your teeth without your braces getting in the way. During your treatment process, you will be able to keep track of the progress that your teeth have made in moving towards their correct location by viewing a computer simulation of the process, and you will also be able to see a projected final outcome of your new smile even before you start. The orthodontist will determine if your bite can be adequately addressed with Invisalign. Not all orthodontic braces are planted on the front of your teeth. There are special braces that do their work behind the teeth called lingual braces. And because they are bonded behind the teeth, you’ll never know if a person uses one or not. 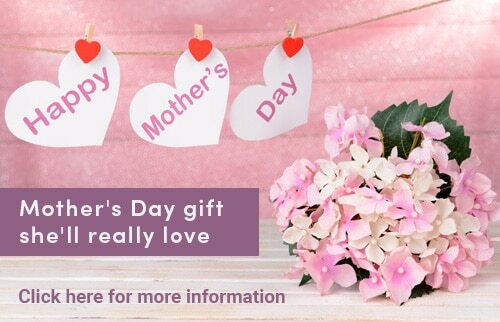 The braces are customized to bond at the back of the teeth so they remain invisible when smiling.The lingual brackets are to be held closer together since the inner arch around the backside of the teeth has a smaller dimension than the arch on the outside. This makes both the installation and the subsequent adjustment visits more difficult. The lingual braces can also irritate the tongue initially than with regular braces. 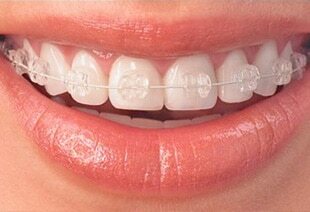 In addition, because the process is more involved and tedious, lingual braces cost more. Removable appliances are custom-fitted to shift your teeth or to hold them in place. They can be used for simple malocclusions where one or more teeth have to be tipped back into their correct position. Because it’s easy to remove this type of device, you might be tempted not to wear it exactly as the orthodontist prescribes. However, it’s important to resist this temptation. Otherwise, your teeth could return to their original position. Initially, your eating and speaking may be affected, and you may notice an increase in the flow of saliva. However, these symptoms will soon diminish as you adjust to the appliance – usually within 2-3 days. Most children with crowded teeth and bad bites have narrow jaws and underdeveloped lower jaws, which could be corrected with functional appliances. Functional appliances help correct the bone problems, while the tooth problems are corrected with the orthodontic braces. The ideal age for the use of functional appliances is when there is maximum growth and when the cooperation level is the highest. However, Myofunctional appliances can be utilized as early as age 4, if the upper jaw is too narrow and is having a negative effect on the child’s breathing and speech. Arch Development (Myofunctional appliances) can also be used in adults to develop the arch to a more normal shape and size before applying the braces. The use of functional appliances can reduce the time the child must wear fixed braces and also can reduce the need for the extraction of permanent teeth. Functional appliances develop the dental arches so that all the permanent teeth can erupt, which ensures an outstanding profile, broad smile and healthy jaw joints.